The history of Labor Day traces back to a demonstration by the Central Labor Union on Tuesday, September 5, 1882. This New York City trade union organized a parade or march from City Hall to Reservoir Park in Union Square. At the park, there were picnics, a concert and speeches calling for an eight-hour workday. At the time, the average workweek for a full-time manufacturing employee was 100 hours. That works out to about 14 hours per day, seven days per week. Imagine working from 7 a.m. to 9 p.m. every day. That doesn't leave much time for anything else. Congress passed legislation creating Labor Day in 1894. However, it would take 48 years for the speeches made in Reservoir Park in 1882 to bear fruit. The eight-hour workday and the 40-hour workweek did not become the standard we know today until 1940. Yet, many of us still struggle to find a balance between our work and the rest of our lives. Even as we celebrate Labor Day, we might be tempted to peek at email or check our office voicemail just to be sure we haven't missed anything important. We want to believe our lives are more than what we do, yet our inability to disengage from our jobs tells a different story. We still tend to measure our lives by what we do -- our roles, our jobs and our informal social statuses. Some of us view ourselves only useful at work. This month, many students and teachers are headed back to school. Pray on your own or with your children as they begin a new semester. If there is one outer garment to choose that puts the whole ensemble together, says Saint Paul, it is love, "which binds everything together in perfect harmony." This is not a love simply based on feelings, but rather the self-sacrificing, outwardly focused love bound up in the Greek word agape. Love acts as the bond that holds the community together despite the circumstances and despite our individual faults, needs and hurts, and is the basis of our unity. It not only binds together all the other pieces of the new wardrobe perfectly, it creates a communal spirit that represents the body of Christ to the world -- a body in which the "peace of Christ" rules in the hearts of all. We are never just representing our individual selves; we are representatives of Christ together. 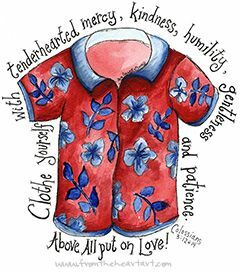 As humble representatives of Christ our wardrobe includes the communal need for forgiveness. 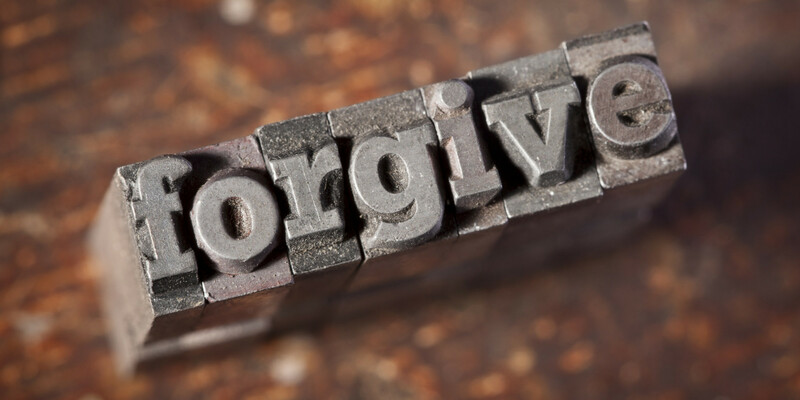 We must "bear with one another" and forgive each other as the Lord has forgiven us. When problems and disagreements arise in communities or families, forgiveness and patience with one another are essential. We accept others for who they are, with all their faults and weaknesses, while spurring one another on to live up to the image of God within each of us. We were created to represent God's image and to engage together in God's mission for the world. Forgiveness allows the community to live that image and mission fully in the present world despite our tendency to act like the sinners we are. We need not present a fake, superficial image to the world, but rather our authentic, broken, forgiven and forgiving selves living together with the goal of being more like Jesus, the perfect image of God. Our Scriptures teach us that we are God's "chosen ones, holy and beloved" by him. Saint Paul urges us to put on clothing that will re-create us as representatives of Christ. That wardrobe includes compassion, kindness, humility, meekness and patience. Each of these pieces is designed for life in community, recognizing that life in the kingdom is all about putting others ahead of yourself. It's the exact opposite of the old life of self-serving idolatry, in other words. It's a reinvention of the self as a servant who presents himself or herself to the world as a humble representative of Christ. 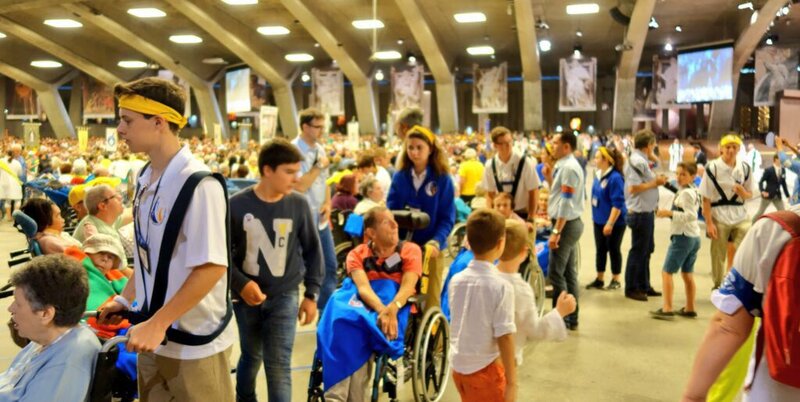 (Vatican Radio) Pope Francis on Sunday said “life is not a video game or a soap opera; our life is serious and the goal to achieve is important: eternal salvation.” Speaking to pilgrims gathered for the Angelus prayer in St. Peter's Square, the Pope focused on the theme of eternal salvation and referred to the day’s Gospel reading in which a man asks Jesus how many people will be saved. “It doesn’t matter how many,” the Pope noted, “but it is important that everyone knows which is the path that leads to salvation.” And the door to salvation lies in Jesus, he said, and we can cross the threshold of God's mercy through love, and by overcoming pride, arrogance and sin. There are countless blessings to those who give of themselves wholeheartedly without any cost. God's grace and power are the unexpected benefits with one that is truly giving -- offering gifts of time and talent along with money. Throughout history, Christians have worked to create a sharing society. In such a community, Christians share because they want to share, not because they are forced to share. They are active in the marketplace, working hard and always looking for what they can do next. They put people ahead of profits, and they try to avoid the worship of money. They discover that giving has unexpected benefits, including powerful testimonies and experiences of the grace of God. But since we Christians were among the first to pool our resources in Jerusalem, we should always be on the lookout for ways to build a sharing society in new and even more powerful ways. Christians put people at the top of our lists. We place people ahead of profits. Christians today work to alleviate the diseases of poverty -- AIDS, malaria and tuberculosis. They fight human trafficking. They feed the hungry and house the homeless. They work to teach English to immigrants and math to low-income schoolchildren. They fight to preserve affordable housing and provide dental care for the poor. This focus on people does not mean that Christians have lost the desire to make a profit. But it does suggest that we're becoming suspicious of money as the key to happiness. Wealth, by itself, usually promises more than it can deliver. Young adults are certainly moving in this direction, as they turn away from buying houses and cars. And so is Pope Francis, who warns about "the idolatry of money" and calls on politicians to provide people with "dignified work, education and healthcare." I heard a quote the other day that got me thinking. The quote, "Christians are active in the marketplace." Since the first-century Christians have been active in the marketplace. They have been active wherever God has called them. The church was full of people who worked hard in a variety of professions, and some accumulated land and houses as a result of their efforts. They turned over their property to the church, but then continued to work together and to help the Christian community to thrive. They discovered the truth, then they start to think, 'What can I do next?'" The members of the early church were always asking, "What can I do next?" A man named Joseph sold a field and gave the money to the apostles, and they gave him the name Barnabas, which means "son of encouragement." The apostles did signs and wonders among the people. Seven church members were selected to wait on tables and provide for the hungry. As we work hard, share our resources and help the Christian community to thrive, we should also be asking the question, "What can I do next?" Like Barnabas, we can be sons (and daughters) of encouragement. Today's Gospel text begins with one of Luke's periodic signposts, set up to remind us that this episode is still a part of a large travel narrative in Luke. This crazy-quilt of stories, parables and incidents stands apart from the rest of Luke's tightly woven, thematically skeined text. Saint Luke stockpiles a series of texts that could easily stand independently.The opening scene today, then, serves as another Lukan reminder to us that this journey is still underway, with Jesus going "through one town and village after another, teaching as he made his way to Jerusalem." In fact, this pericope begins a sort of travelogue section. The general theme behind this Lukan section, explicitly stated in this today's text, is that "the last shall be first." Saint Luke's verbal picture here is of a teaching Jesus, lecturing in the streets, surrounded by a milling crowd of believers, doubters, disciples and curious hangers-on. From this mixed crowd comes the question from "someone" about "who will be saved." We do not know whether this questioner was a devoted disciple or a troublemaker trying to get Jesus into a tight spot. However, Jesus' response makes it quite clear that the wrong question has been asked, and that he will only address the appropriate issue. Jesus ignores the "how many" question of a sensationalist who hopes to discover some horrifyingly juicy tidbit of information. Instead he chooses to address the question of "who" will be saved and why. Thus he shifts the focus to each individual's expression of faithfulness. On behalf of our Province and the world-wide Society of Mary, we would like to thank and congratulate all of our Jubilarians this year for the generous and faith-filled lives of service they have offered to the Church and the Society over many years. When these men entered the Society of Mary, they may never have imagined the various ways that the Lord would call on their talents, gifts, and generosity in the service of Mary. We are grateful to the Lord for calling these men into our Community, and we thank them for their generous and courageous response to His call. May their example inspire us to offer ourselves more completely to the mission of the Society that in all things we may know, love and serve Mary and the Church. 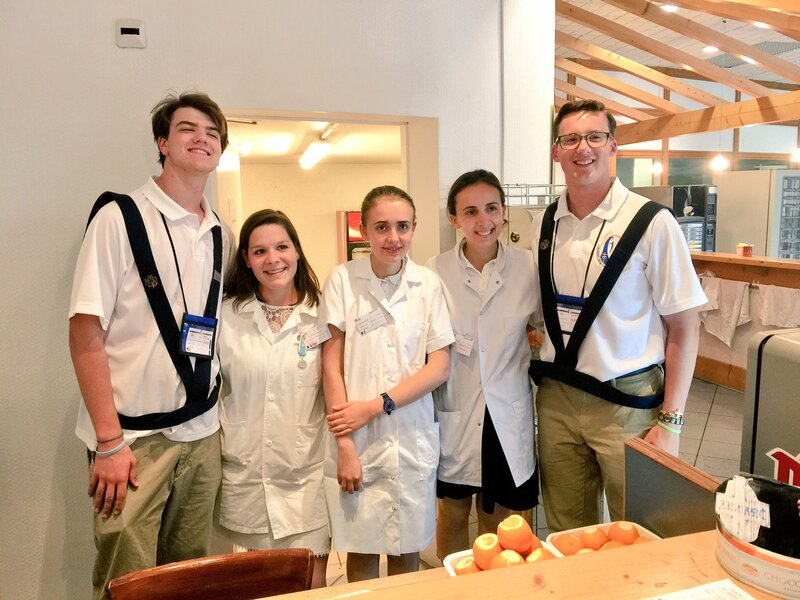 On Wednesday, August 3, 2016, 20 students of the class of 2017 departed for the Marianist Mission of Mercy to Lourdes, France, to serve with the Hospitalité Notre-Dame de Lourdes at the Sanctuary of Lourdes. This is the second consecutive year that our Marianist high school has sent students as missionaries to this holy site. In 1858, the Blessed Mother began a series of appearances to St. Bernadette Soubirous, a young girl from a poor family in Lourdes. From the time of her appearance, a stream began to flow from the grotto where Bernadette saw the Blessed Mother. 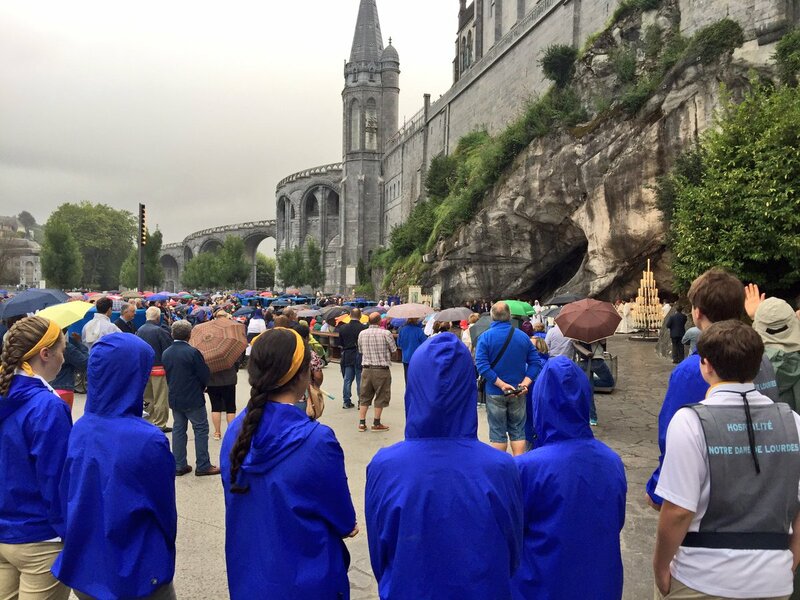 For over a hundred and fifty years, millions have made pilgrimage to be bathed in the waters of Lourdes, seeking both physical and spiritual healing. 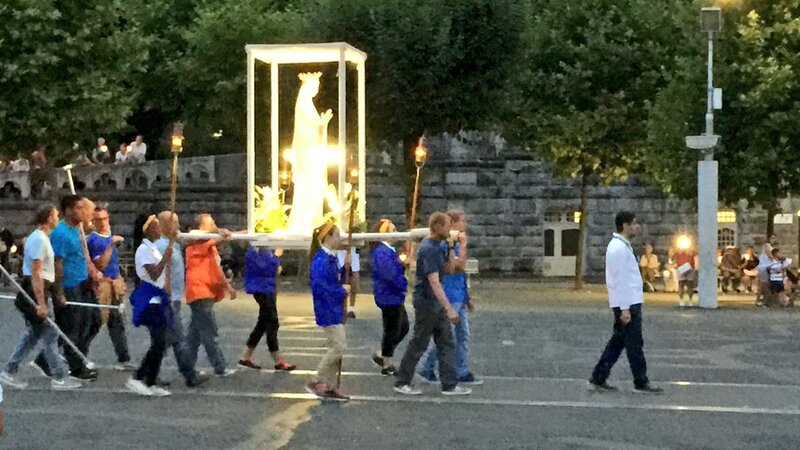 Since the time of Our Lady’s appearance, thousands have been cured. The Marianist Missionaries of Mercy will spent the week working with the malades (French for “the sick”), generally the elderly and those suffering from other physical handicaps, as they make their own journeys from their homeland to the small village at the foothills of the French pyrenees to be served by our student missionaries. Our missionaries returned home on August 16th. The Marianists of the Province of Meribah give thanks to God today as we celebrate Foundation Day! Our Province began in 1976 with our founding fathers, Fr. Francis Keenan, S.M. and Fr. Philip Eichner, S.M. The Brothers' motto, Servire Quam Sentire, captures well the spirit which animates the members of the Province. We seek to put our own fears and reservations aside, and to serve the Lord with gladness and with joy. The works of the Province have expanded since its initial foundation. Under the Meribah banner are: Chaminade High School, Kellenberg Memorial High School (including the Bro. Joseph C. Fox Latin School Division, for sixth, seventh and eight-graders); and St. Martin de Porres Marianist School (pre-k though eighth grade). The Province also runs three retreat houses which are: Meribah, Emmanuel, and Founder's Hollow. Since the Province of Meribah was created, it has maintained the common life of prayer, the common dress of the religious habit, and the common apostolates of education. God will always supply the resources we need. When we have a deep relationship with God, our conversations lead us to an honesty about our weaknesses in comparison to God's glory. Jeremiah recognized that he had a shortfall in experience and ability to speak, but these were not hurdles to God. In fact, it seems that God -- to cite a saying -- usually doesn't call the qualified, but, rather, qualifies the called. God was the one who put words in the mouth of Jeremiah, and God will be the one who ensures that the mission is a successful one, even if it will cost a lot in the process. Some of the most powerful words in the Bible are the repeated promise of God: "I am with you." We have an assurance that the God who calls us will continue to be in conversation with us, and he will continue to lead us. Those conversations are the ones that we need to review often as we follow God wherever God leads. After all, God always recognizes our voice -- no strings attached. God always invites a kind of conversation. Even if God will always have the last word! We sometimes forget that prayer is a two-way street and that God doesn't just give us a series of commands. Plenty of people have claimed to have been ordered by God to do something, but failed to enter into a conversation with God to determine whose voice they were actually hearing. God allows us to bring those fears and feelings to the table when we converse with the divine. Yes, God wants our obedience, but it seems that God desires that obedience to emerge out of a deep relationship rather than out of mere obligation. Regular prayer is a running conversation with God that allows us to "test the spirits to see whether they are from God." God invites us, both individually and collectively, to test the spirits in prayer and in fellowship with others, so that we can hear God's voice clearly. The Solemnity of the Assumption of Mary is a feast that traces its origin to the earliest ages of the Church. Tied to this feast are themes of Mary as Mother of the Church and model for the Church. In her the Church witnesses the fullness of the effects of the saving death and resurrection of Christ for humanity. The Preface for the feast’s Eucharistic Liturgy attests to this. Today the Virgin Mother of God was taken up into heaven to be the beginning and the pattern of the Church in its perfection, and a sign of hope and comfort for your people on their pilgrim way. The themes of the Mass prayers and readings, and those of the Liturgy of the Hours, reflect the basis of the Church’s teaching about Mary and the many titles accorded her in popular Christian devotion. We understand that Mary is a creature only, dependent on Christ for everything. She is a woman and a mother, and her grace is adapted to her own nature and to her own special function. Christ exists for God. Mary exists for Christ. God made Christ our unique Redeemer. Mary exercises her role as Cordemptrix only through union with Christ, and she herself had to be redeemed by him. Christ is our necessary advocate with the Father. Mary is our advocate with Christ and through Christ. So it is with all the privileges of the Blessed Virgin Mary. Bro. John M. Samaha, S.M.